As used by most athletes, the side effects of anabolic steroid use appear to be minimal. 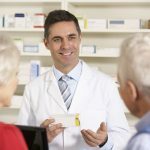 Even in those using large doses for prolonged periods of time, clinical evidence shows that any of the short term side effects are mostly reversible. As well, some of the more serious side effects such as hepatic toxicity and increased serum cholesterol, can be minimized by proper monitoring, changes in lifestyle, and if indicated, medication. 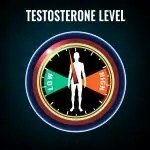 The absence of significant side effects to the long term use of low to moderate amounts of testosterone and some anabolic steroids has been shown in a series of clinical studies investigating the use of anabolic steroids and testosterone as male contraceptive agents. 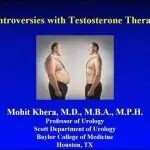 A considerable amount of research has been and is being carried out by the World Health Organization and independent researchers using combinations of testosterone, anabolic steroids (especially 19-nortestosterone) (1•2), medroxyprogesterone acetate and methyltestosterone (3), Gonadotropin Hormone Releasing Hormone agonists and antagonists. 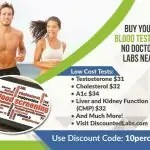 Several of these combinations have proven to significantly reduce the sperm count with no significant short or long term side effects (at least for as long as the various studies ran). In these studies, normal sperm production resumed shortly after discontinuation of the various compounds. 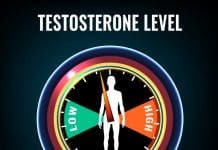 steroids in men include gynecomastia, fluid retention, acne, changes in libido, oligospermia and increased aggressiveness. In women amenorrhea and other menstrual irregularities occur commonly. As well there is a possibility of virilizing effects from the use of anabolic steroids. Some of these effects, such as coarsening and eventually deepening of the voice, hirsutism, male pattern baldness, reduction of breast size, and clitoral enlargement, may or may not be partially reversed by the discontinuation of anabolic steroids and if needed the use of androgen antagonists such as cyproterone acetate. testicular atrophy and refractiveness of the hypothalamic-pituitary-testicular axis. 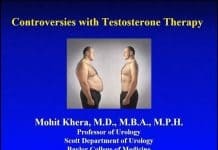 Occasionally the serum testosterone fails to returns to normal, and long term replacement therapy is necessary. The other group of side effects are those which are not usually thought of as related to either the anabolic or androgenic properties of these compounds. These side effects, while controversial as to the role that anabolic steroids have in their genesis and development, result in more than just cosmetic changes, and include changes in serum cholesterol, cardiovascular disease, prostatic cancer, kidney dysfunction, disturbances in carbohydrate metabolism, emotional disturbances, increased incidence of musculoskeletal injuries, cerebrovascular accidents, and hepatic dysfunction (with rare instances of hepatic cirrhosis), hepatocellular carcinoma and peliosis hepatitis. This second group of side effects, while posing a serious threat to the athlete, has often been misrepresented and sensationalized in both the media and some of the scientific literature. As noted earlier we need better controlled long term studies to accurately determine the risk involved in the prolonged use of anabolic steroids. To put these potentially life-threatening side effects in perspective, I have found it useful to compare the side effects of anabolic steroids to the side effects of oral contraceptives, especially prior to the 1980’s when larger dosages of hormones were used. In general, the side effects of using low to moderate dosages of anabolic steroids are comparable to those seen in women using oral contraceptives. The risks inherent in this universally used and accepted method of contraception, which are well outlined in the Report on Oral Contraceptives, 1985 by the Special Advisory Committee on Reproductive Physiology to the Health Protection Branch, Health and Welfare, Canada, parallel in many ways the risks inherent in anabolic steroid use, although, of course, there are differences since it is mainly the male athletes who use anabolic steroids (although use among women is increasing in the power sports such as weightlifting, powerlifting, bodybuilding, and the track and field events that require explosive strength). A search of the recent literature shows that the use of oral contraceptives is associated with similar side effects, such as hepatic disease, including hepatic cell adenomas and cancer of the liver (5•6) and changes in serum cholesterol. Even peliosis hepatitis, described primarily in patients on androgenic steroid medication and patients with tuberculosis, has recently been reported as a possible complication of the long-term use of oral contraceptives (7). We can also separate side effects into the short term and long term consequences of using anabolic steroids. While many of the short term consequences are clinically clear (especially those resulting in changes in the female secondary sexual characteristics, and in feminization of the male) the long term consequences are more elusive. There is some speculation that chronic use of anabolic steroids may, in those genetically susceptible, cause hepatic cirrhosis, peliosis hepatitis, primary hepatoma, atherosclerosis and cardiac disease, diabetes, prostatic cancer, and cerebral vascular accidents. There is, however, no solid clinical or experimental evidence to show that the use of anabolic steroids by healthy athletes has any effect on longevity, or that prolonged use leads to diseases of the various organs and systems mentioned above. I find it interesting that while substantial amounts of anabolic steroids have been used by athletes for over three decades, we are not seeing any significant long term effects on athletes who have used anabolic steroids in the fifties, sixties and seventies. 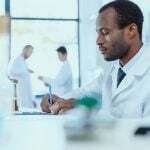 However, the changing pattern of anabolic steroids use over the past decade – anabolic steroids are being more widely, at higher dosages and for longer periods of time – may yet reveal more severe problems in the long term. 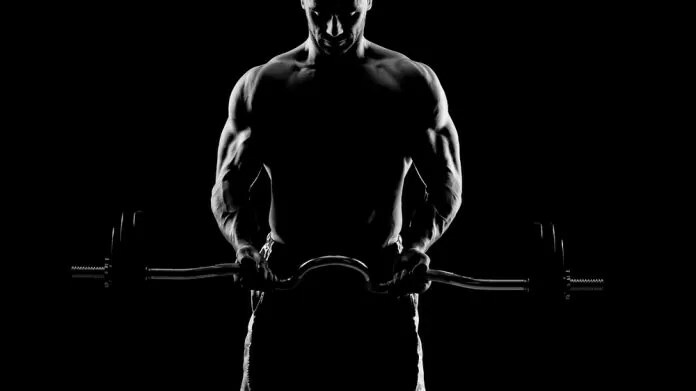 There are some studies in progress now that may shed some light on the long term consequences of anabolic steroid use. One study, announced in 1987, proposed to examine football players and power lifters for possible long-term sequelae from anabolic steroid use in 1970s competition (8). 1- Schurmeyer T; Beliltien L; Knuth U A; Nieschl.aq B. Reversible azoospermia induced by the anabolic steroid 19-nortestosterone. Lancet . 1:417-420. Feb 25 1984 . LG Bn. 2 Schurmeyer T; Belkien L; Knuth U A; Ni eschlaq 8. Reversible azoospemia induced by the anabolic steroid 19-nortestosterone. Lancet . 1:417-420. Feb 25 1984. 3 Bashin J; Rachlis V; Robert B; Khai.t Z. caubined use of oral medroxyproqesterone acetate and methyltestosterone in a male contraceptive trial program. Contraception. 21:365-379. Apr 1980 . 4 Thomas DB. Steroid hormones and medications that al.ter cancer risks. Cancer (United States) Oct 15 1988, 62 (8 Supp1) p1755-67. 5 Forman D; Vincent TJ; Do11 R. Cancer of the 1iver and the use of oral. contraceptives. Br Med J [C1in Res] May 24 1986, 292 (6532) p1357-61. 6 Christoherson ; Mays BT; Barrows G. A study of steroid-related liver tumors. Am J Surq Patho1 Mar 1977, 1 (1) p31-41. 7 Janssens AR; Kreun.i.nq J; Ruiter DJ; Kroon JIM; Grond AJ. Generalized hepatiti after lonq-term use of oral contraceptives. Am J Gaatroenterol (United States) May 1988, 83 (5) p572-5.